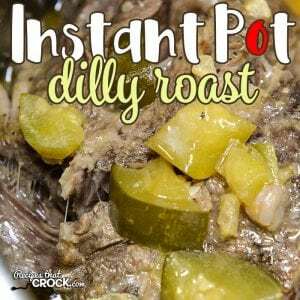 Instant Pot Dilly Roast - Recipes That Crock! 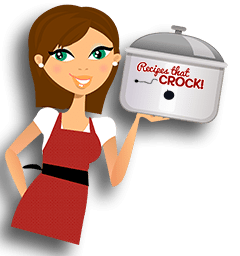 Are you looking for a delicious roast to make in your electric pressure cooker? 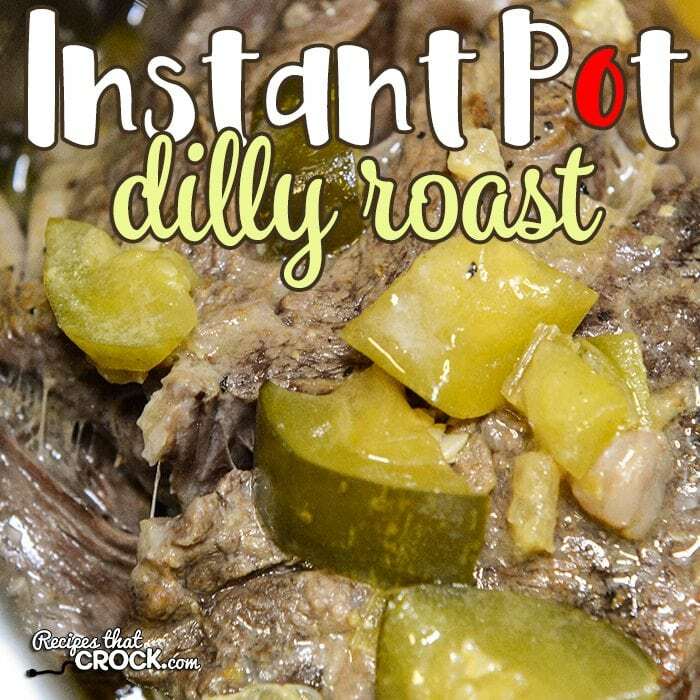 Our Instant Pot Dilly Roast takes our 8 hour Crock Pot Dilly Roast and converts it into a recipe that is ready to eat in 90 minutes or less! 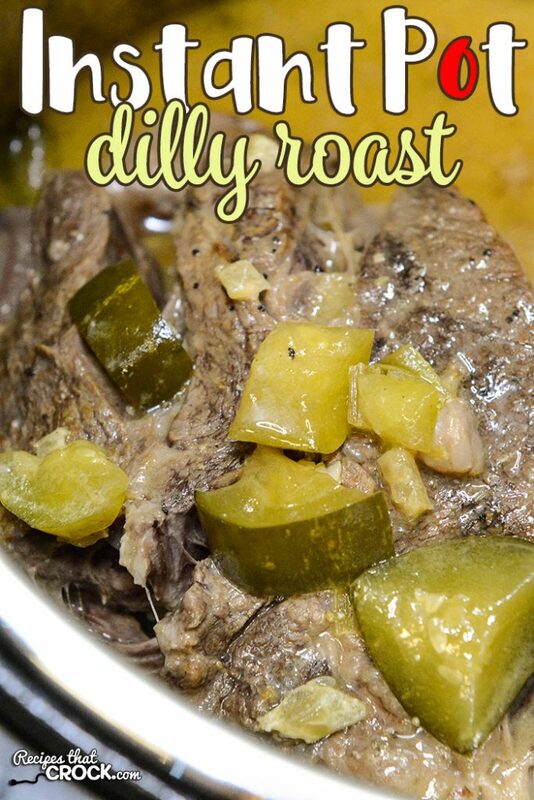 Recently I shared the VERY yummy Crock Pot Dilly Roast that one of our readers shared with us. 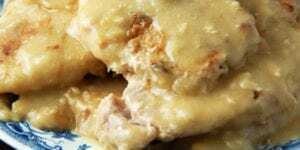 It became an INSTANT hit and so, we decided to try to tackle it in our electric pressure cooker. The results were incredible! 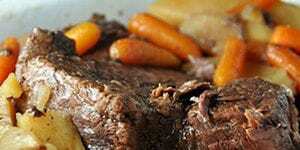 The roast was fall-apart tender after only 60 minutes of pressure. 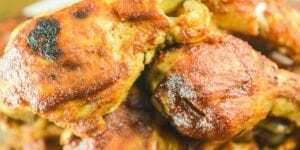 It always amazes me how instant that Instant Pot can be when I am so used to my slow cookers ;). Turn your browning/saute feature on a 6 quart electric pressure cooker and heat bacon grease. Season roast with lemon pepper and brown on both sides. Add remaining ingredients and put lid on with the seal closed. Switch to manual with the warmer turned off. Set to high pressure for 60 minutes. 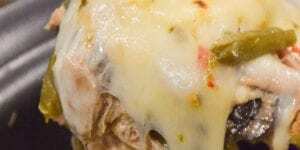 After cooking, natural release for 15 minutes and then switch to quick release if desired. 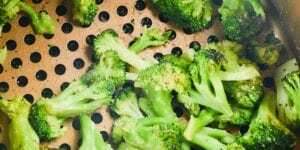 Cooking time is in addition to the time it takes for the unit to reach pressure. Times may vary to reach pressure. 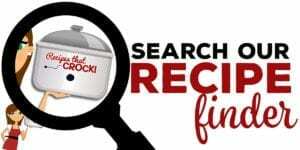 If you would like to use a 5 lb roast, increase cooking time to 90 minutes. I made something very similar – by mistake. Was following the recipe for Mississippi toast and grabbed a jar from the fridge which was supposed to be pepperoncinis. Only after I dumped it in did I see it was hamburger sliced dills. Thought oh well, can’t change it now and went ahead. It was good. I believe Bob Ross used to call those “happy little accidents”! So glad it still turned out for ya! everything you make is super delish. i havent had 1 thing i didnt like. keep up the great work. best of luck on your new adventure. i wish great sucess and happiness. So glad to hear you are enjoying the website and channel!